"A all-around wonderful practice. Highly recommend." "Each time I go into the office I was pleased at how friendly they are." "I highly recommend Dr Rockwell for adults as well as children!" "Dr. Rockwell and the office staff is very friendly, and caring." "Overall experience is outstanding. Highly recommend Dr. Rockwell." "Everyone in the office is wonderful, and very pleasant to the clients. " ""Dr. Rockwell and her entire staff are friendly, professional and very competent. " "Attentive and knowledgeable staff. Clean and new office. Very happy with their service." "I highly recommend these very dedicated dentists." "Always a great experience here, extremely knowledgeable and helpful." 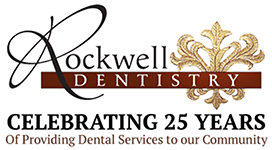 For more than 25 years, Rockwell Dentistry has provided a comprehensive range of general and cosmetic family dental services to patients of all ages in Middletown and Hamilton, New Jersey, and the surrounding Monmouth County areas. Led by the compassionate husband and wife dental team of Alexander Rockwell, DMD, and Dawn Rockwell, DMD, the staff treats patients at every stage of life, from infants through seniors. Drs. Rockwell and their staff provide a comfortable, relaxed atmosphere where they truly care about each patient’s overall health and well-being. They take the time to get to know each individual and their unique dental needs so they can offer state-of-the-art treatment for all aspects of dentistry. Families in Monmouth County and the surrounding areas count on the team at Rockwell Dentistry for all their dental needs and procedures, getting complete oral health care from the same dentist in the same office without having to go to other specialists. For outstanding dental care like routine cleanings to maintain a healthy mouth, or for more complicated procedures such as dental surgeries, implants, veneers, or even dentures, the team at Rockwell Dentistry is committed to helping each patient reach their dental goals for a healthier, more beautiful smile. Bring the whole family to Rockwell Dentistry for the most comprehensive dental experience in the area. Book online or call the office that’s most convenient to your location to schedule an appointment today. We are committed to providing the best complete dentistry for all of our patients. Come in and experience for yourself the difference in care we offer. We take no short cuts. We take our time to answer all of your questions, whether they’re about procedures, fees, or insurance. You won’t find a crowded waiting room or have trouble making timely appointments to fit within your schedule. You can expect minimal wait time when you come in for your appointments. New patients will receive their first dental exam and x-Ray for free! We work with many forms of insurance. Please contact the office for any coverage-realted questions. "I've been going to Dr. Dawn Rockwell for at least 15 years and am always impressed with the caring, kind and very competent attitudes of not only Dr. Dawn." "Dr Dawn helped me get past my fear of Dentistry and has done a wonderful job with my teeth. Danielle has also been great with my cleanings and checkups." "They are the nicest people who put my worries at ease. I look forward to going to the dentist with these wonderful people!" "Dr. Dawn is totally awesome and I highly recommend her to anyone looking for a new dentist. She will take the time to get to know you and your family." "The staff at Rockwell Dentistry are truly amazing. I am not a fan of the dentist at all, but every time I do have to go there, they make me as comfortable as possible. " "Always a great experience at Rockwell Dentistry in Hamilton. Dr. Dawn and her staff are such talented and wonderful people who provide fantastic dental care. " "Absolutely the best dental practice in the area! We have been patients for 15 years." "Excellent care given to me on my last visit, identified some problems and quickly outlined a plan. Teeth cleaning was remarkable never had my mouth feel so clean." "I've been a patient of Dr Rockwell's for 8 years and I have no intention of looking for a new dentist any time soon!" "I have been going Dr. Rockwell for a long time, and refuse to go anywhere else. " "I am terrified of the dentist, or should I say was terrified of the dentist. Dr. Rockwell has changed that for me." "I have been going to Rockwell Dentistry for over 8 years now. I've had many procedures done from implants, crowns to cleanings." "Dr. Dawn and her staff are friendly, helpful and always make me feel comfortable. They always give me a friendly reminder about appointments and are very professional." "Many years ago Dr. Dawn Rockwell treated me for a dental emergency, & I have stayed with her practice ever since." "If you are nervous or hesitant to come to the dentist, then this is the perfect place for you." "I highly recommend them to everyone I talk that needs a dentist." "Amazing staff & service! Dr. Rockwell is there best." "I have been going to Dr. Rockwell for over a decade. My kids and husband are also patients. We always have a good experience. "